Directorate General Of Family Planning DGFP Job Circular 2018 has been announced by the government authority of Directorate General Of Family Planning Department. 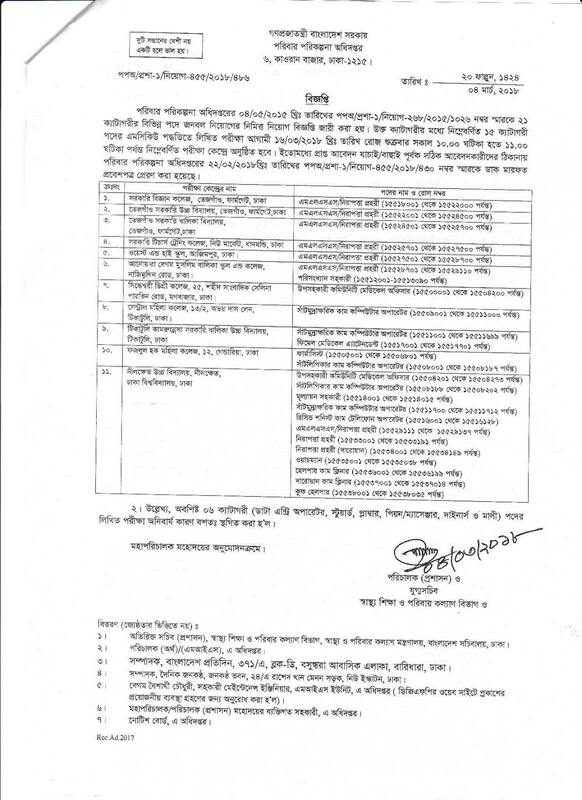 The website of www.dgfp.gov.bd. The authority says that they will take many people for the various post of that department. To get gov job circular visit our website regularly. Like our Facebook Page to get regular updated at www.facebook.com/dailybestjob. Directorate General Of Family Planning DGFP Job Circular 2018 offers a huge job opportunity for many people of Bangladesh in January 2018. Men and Women can apply for different posts. Keep Visiting our website for bests jobs news at dailybestjob.com. Exam Will Be Held On 16th March 2018 at 10-11AM Morning.